Caddis Chronicles: Tying the Top Secret Midge...On a Size #26 Hook! 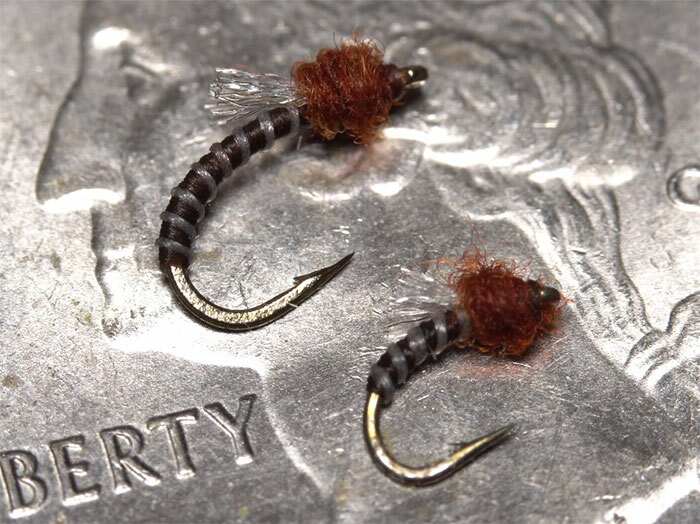 In his latest tying video, Tim Flagler ties Pat Dorsey's Top Secret Midge pattern, which is a hard enough task for most tyers without having to get it right in front of a camera. If there's an upside to tying this pattern, it is that it's fairly easy to tie and works well in sizes #20 on down to #26. It was designed for fishing tailwaters, which are midge factories, but it works well anywhere there are trout (midges can be found in just about any river or lake in the world). To give you an idea of the size, here's a comparison with a size #20 above it on a quarter. Love the segmentation Matt, and the 2488 is a superb hook!